WASHINGTON, DC — October 7, 2014 — Today, Many Voices, a Black church movement for lesbian, gay, bisexual, and transgender (LGBT) justice, launches a series of unprecedented videos that feature LGBT-affirming African American clergy from the South. Video subjects include Rev. 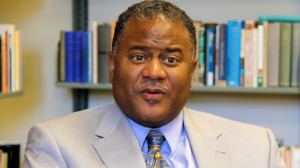 Dr. Rodney Sadler, Associate Professor of Bible, Union Presbyterian Seminary at Charlotte; Rev. Reggie Longcrier, Executive Director of prison ministry Exodus Missionary Outreach Church; and Rev. Dr. Terence Leathers, Pastor, Mount Vernon Christian Church. Each interview captures experiences from ally voices of faith that undermine the misconception that Black pastors are monolithically homophobic. The videos also illuminate how African Americans can be both religious and supportive of LGBT people, and that being LGBT-affirming can be consistent with one’s faith. All interviewees are based in North Carolina, a state with a substantial Black LGBT presence and strong ties to the Church. With over 40 percent of Black Protestants supporting the freedom to marry, the testimonies are representative of a growing number of justice-seeking pastors across the country. In addition to sharing the videos through social media and community collaborators, Many Voices offers training, resources, and relationship-building opportunities for church leaders and Black LGBT people. The video release is part of an ongoing campaign that launched in 2013. The Many Voices Visibility Campaign was funded in part by the Arcus Foundation, Evelyn & Walter Haas, Jr. Foundation, and the E. Rhodes & Leona B. Carpenter Foundation, and was created by Katina Parker, a filmmaker and PR specialist. The music was performed by Rachael Derello, Monica Douthit and Meredeth Summers Moore, and recorded by Sammy Truong and Katina Parker.